So you want a class set of 32 iPads for your classroom. Have you thought about how they will be managed? 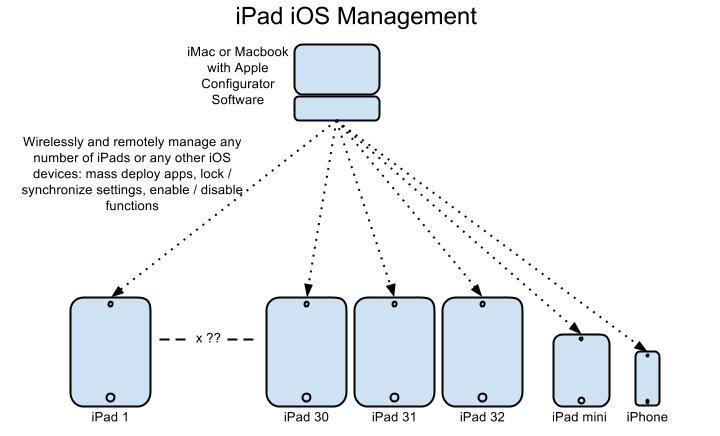 If you want to add an app to all 32 devices, are you going to add it manually to each device? Who will do it? How do you prevent users from "messing around" with the settings, moving icons around, deleting or adding their own apps? In addition to the pedagogical justifications, one must also consider how the devices will be managed. How the operating system be updated? How will you "push" apps to all the devices at the same time? Synchronize settings? And do all of this in an efficient, timely manner. The Apple Configurator | Video software is your answer. Your school administrators will also want to know WHO will manage the devices? Does the school or district already have a knowledgeable person on staff? What is this person's workload and availability? If not, is there someone on staff who can champion this initiative? Does this person require additional release time? How much will that cost the school? What are the advantages and disadvantages of each model? 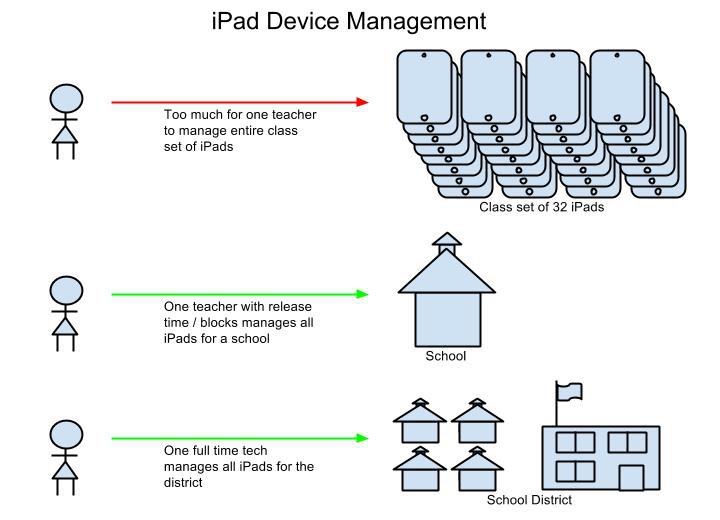 Have you thought about where you are going to store your class set of iPads? 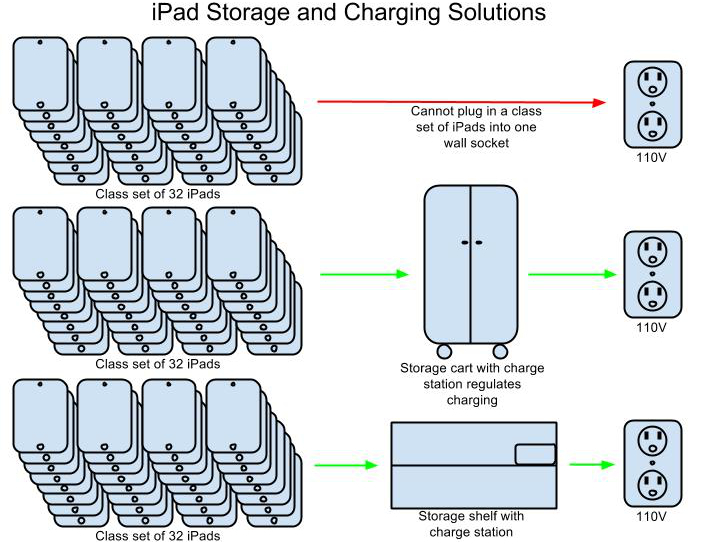 You simply cannot plug 32 iPads into one wall socket. A storage solution is needed that includes a special charge modulation solution. If the iPads need to remain mobile, you can purchase a lockable storage cart with a charge station on caster wheels. The charge station modulated the charging of all 32 iPads to about 8-10 amps at 110V. That means it will not overload a typical 15 amp 110V circuit.